Did I start a fire without matches on television in only 30 seconds? Gotta watch the video to find out! Note to self: I should do video blogs more often! It’s so much less typing!! Thanks to the nice people who took our photo even though we scared off their fish!! My friend Jess’s father-in-law owns a couple of sit-on-top kayaks, and for a long time we had been saying, “Someday we ought to take those over to Wyconda and paddle.” Well, someday was taking too long so I sent her a message on Facebook asking if “someday” could be “Sunday.” She actually replied no at first but quickly reversed and said, yeah- let’s do it. We headed across the river with the boats in the back of my dad’s truck to Wakonda State Park in La Grange, MO. Our destination was not the busy and crowded main lake, but rather neighboring Agate Lake. I learned via the park’s website that Agate Lake was one of six man-made lakes in Northern Missouri created by the excavation of ice-age deposited gravel pits. The horse-shoe shaped lake is deceptively large, and Jess and I had a great time paddling, exploring, and chasing geese around the small island in the middle of the lake. 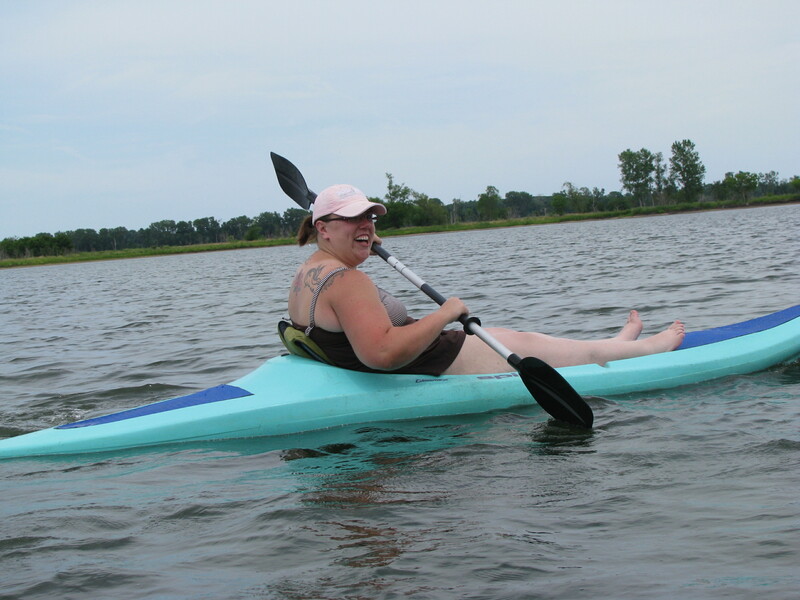 My primary paddling experience has been in ocean kayaks (covered), and this was a great chance to try the sit-on-top variety. 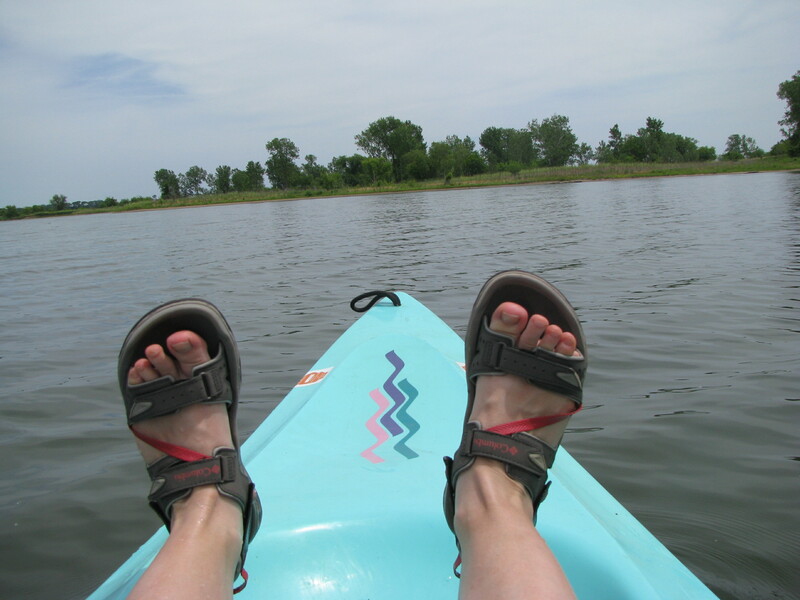 Clearly, this kind of kayak isn’t built for speed or tight maneuverability, but it’s really comfortable, steady and perfect for a relaxing day on a local lake. 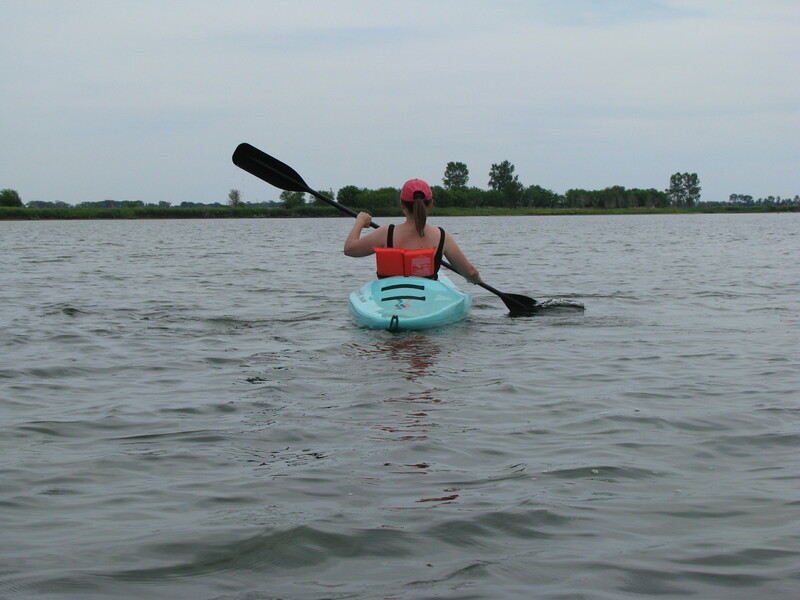 Because I’m silly and couldn’t resist, I had to see how far I could push the kayak onto its side before it would tip. The answer: pretty darned far. The things are designed to be super-stable and forgiving. When I finally did tip the thing, I easily flipped it back to the right side by myself, and since it wasn’t full of water the way an ocean rig would have been, I just kicked my feet a little, hauled myself back up on deck, flipped over to sit back in the seat and we were back on our way. Jess and I had a really nice afternoon on the lake, and I enjoyed being able to catch up with what was going on in her life and tell her about what had been going on in mine. Really, the most important part of getting out to follow your Adventure Foot is being able to share the experience with a friend. 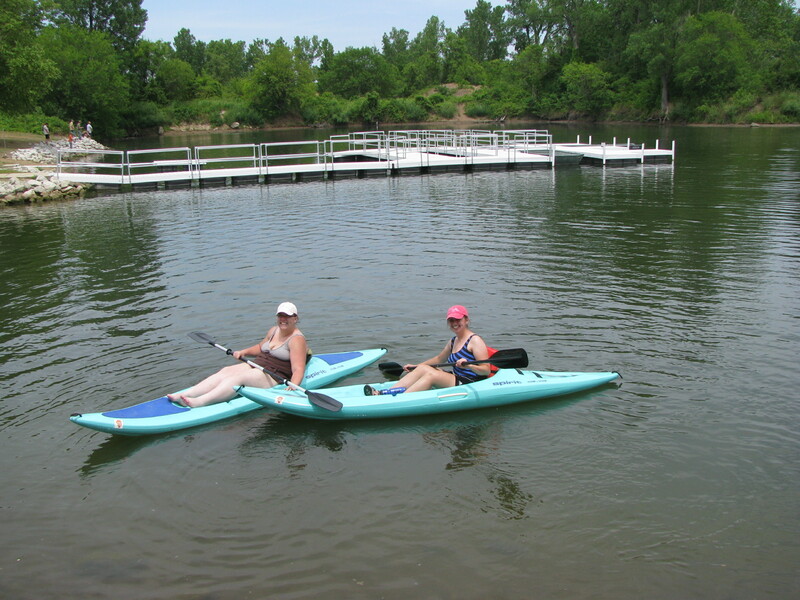 Kayaking on a small lake is so quiet and relaxing that it lends itself especially well to great conversation. If you’re looking for a great little park nearby, I’d highly recommend Wakonda. 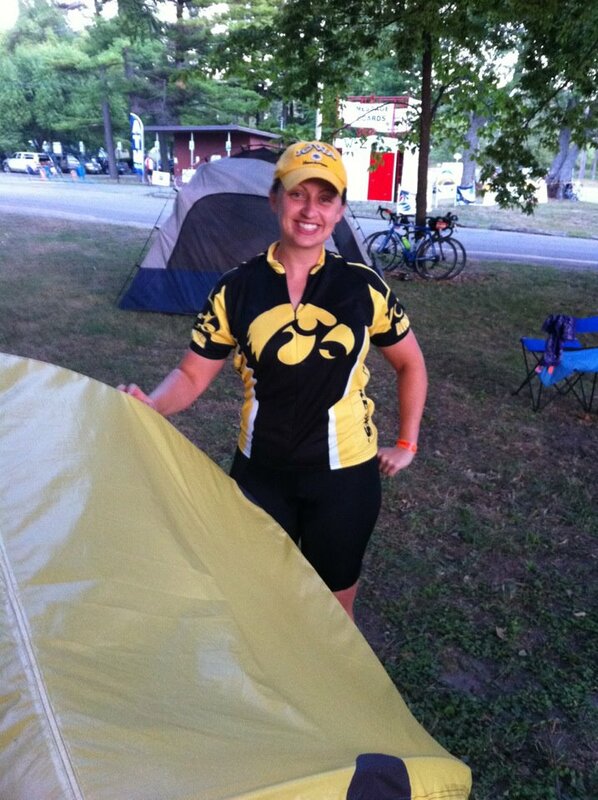 In addition to Agate Lake where we paddled, there is also Wakonda Lake and its beach and swimming area, there are RV hookups and campsites, several small trails, and a concessions building with small boats to rent. If you’ve got kayaks there are plenty of opportunities to do short portages to the other lakes in the area- Quartz and Jasper- and I’m told that if you head the right direction, you can portage a few times and be right back in the Mississippi. The lakes are also stocked with fish and are a great place to take a family for a fishing trip. The park is smartly laid out with a central parking lot, so you’re at the center of the lakes, the ranger station, the playground, the swim area, the campsites and the boat launches. It’s only a 15 minute drive from downtown Quincy, which makes it very convenient, even on a whim. 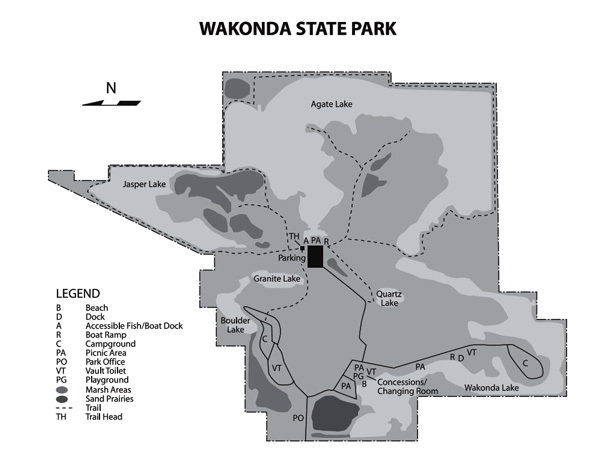 For more on Wakonda State Park, visit their website here! Jeremy Grootens and Laura at the trailhead to Big Sugar Creek Trail. 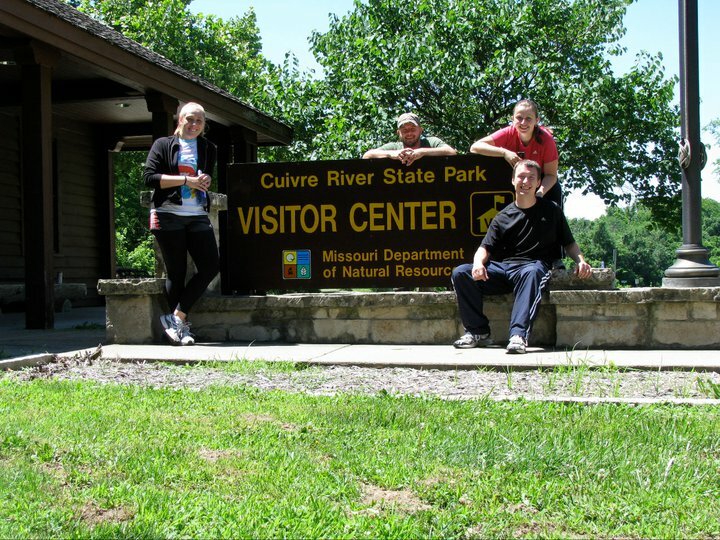 Everything about Cuivre (pronounced “quiver”) River State Park in Troy, Mo., is wild. 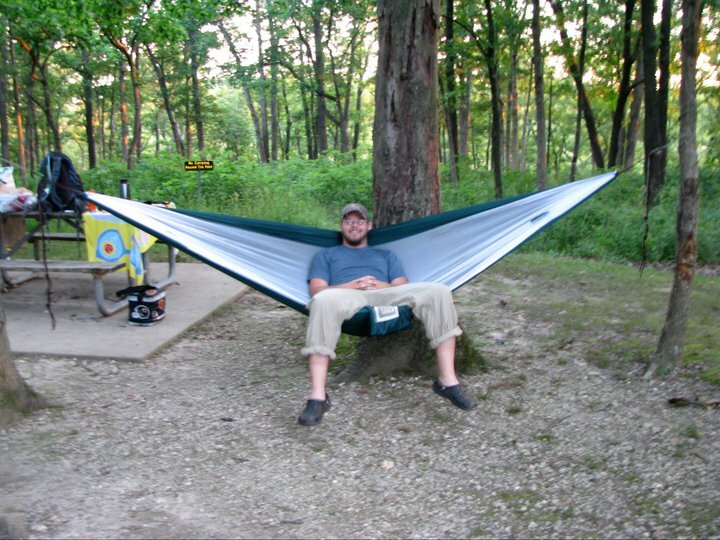 There are wild flowers, wild animals and wildly-fun trails, lakes and campgrounds. All in all, the park makes for a great adventure. Photos from my trips to the park: 1. Woodland Swallowtail Butterfly 2. Red-Throated Woodpecker 3. Wildflowers 4. Frog 5. Cardinal 6. Water Snake 7. Wildflower 8. Icicles along the bluff 9. Wildflowers 10. Squirel 11. Forest Plant 12. Eastern Fence Lizard 13. Rat Snake eating a Corn Snake 14. Dogwood Tree 15. Titmouse. Cuivre River is only an hour and a half from Quincy, and is one of the loveliest state parks in Missouri. I suggest starting your visit with a stop in the park’s Visitor’s Center. The park staff is very friendly and will give you great tips on finding just the right activities for your group. 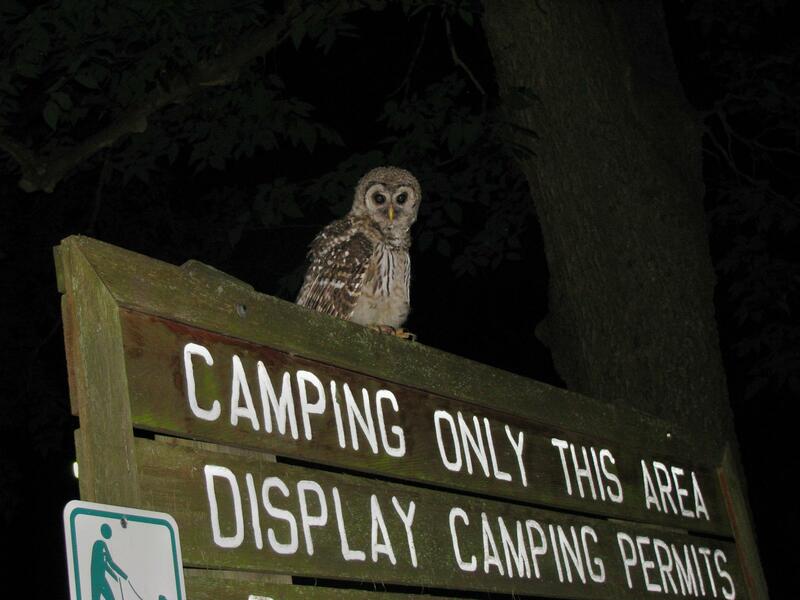 They know the local wildlife and trails inside and out, so ask them how to get the most out of your visit. Lakeside Trail (3.5 miles) This trail leads right along the perimeter of Lincoln Lake. My husband and I hiked this trail just last weekend, and saw frogs, snakes, butterflies, beavers, lizards and more. Big Sugar Creek Trail (3.75 miles) I hiked this trail with friends in January, and it was simply breathtaking. The creek and bluffs were heavy with icicles in the winter, and in the warmer months, the bubbling stream and chirping birds are a symphony. Lone Spring Trail (4.75 miles) The Lone Spring Trail has both a north and a south loop, which gives you the option of only doing 2.3 miles if you prefer a shorter walk. In addition to its namesake natural spring, this trail traverses an open woodland area. This area is currently being restored via controlled burns, and it’s amazing to watch the processes of the forest right before your eyes. Prairie Trail (.3 mile) and Turkey Hollow Trail (.8 mile) are great options if you’ve got kids along. 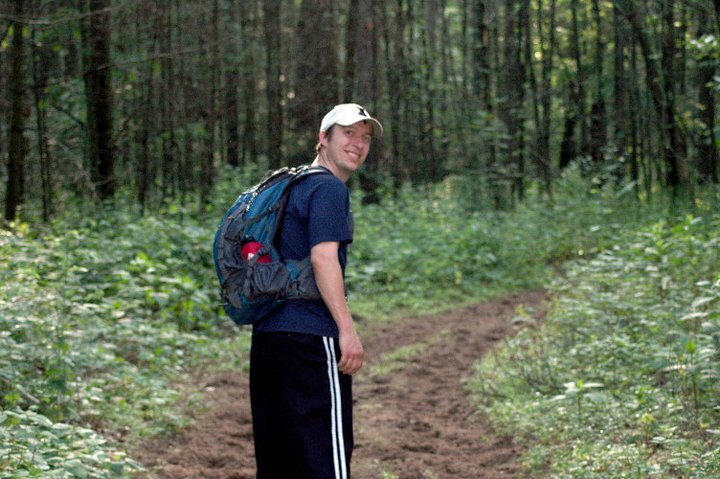 They each are short, well-marked trails that give you views of prairies and woodlands, respectively. Also, don’t miss the lake, the beach, the campgrounds, the fishing, the swimming, just don’t miss this park. *Note: There is also a cave at Cuivre River State Park. It is closed at this time, as are most Missouri, Illinois, and Iowa caves, to control the spread of White Nosed Bat Disease. I will be talking about the cave closures in an upcoming blog, however, the closures may be lifted later this summer. Check the Department of Natural Resources for the most up-to-date information. Prickly Pear Cactus are common in the Illinois Sand Prarie, but are not often found in the rest of the state. If you read my blog last Friday, I bet you’re anxious to know which Memorial Day Weekend destination my husband and I chose. 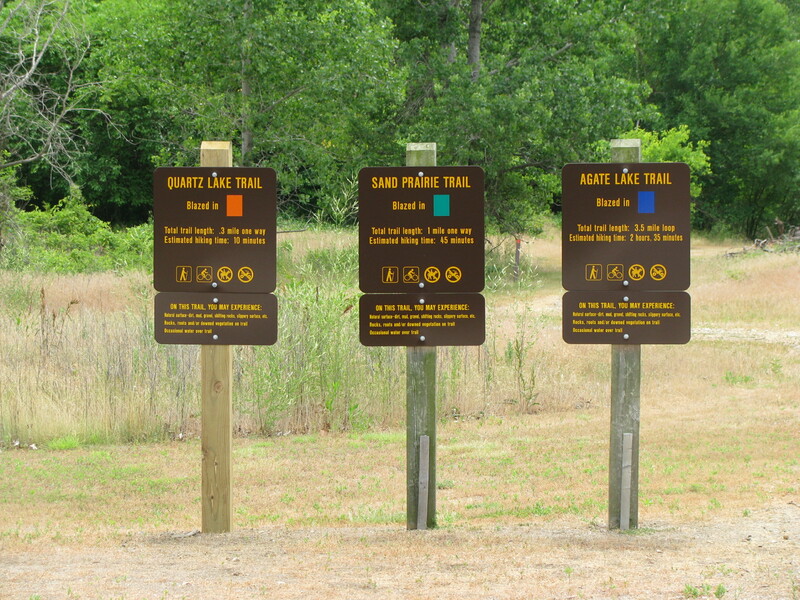 After careful consideration, we headed north and visited Sand Ridge State Park, in Forest City, Ill. Sand Ridge is the largest state park in Illinois at 7,500 acres, so we only got the chance to scratch the surface of what it has to offer on this short visit. One thing I can tell you is that this is the most unique environment I’ve ever seen in our area. Justin Sievert builds a fire at the campsite. The park gets its name because it is, in fact, very sandy. The receding glaciers dumped most of the sand there about 15,000 years ago, and a subsequent dry period turned the area into a desert. Fast-forward a few thousand years, and the deciduous forests of Illinois have grown onto the great sand dunes and merged with this formerly arid area to form what’s known as a Sand Prairie. The area itself is so unique that it’s difficult to describe. There are the usual suspects from an Illinois forest: similar trees, deer in the distance, cardinals and robins raising a ruckus in the early morning hours, but there are also some strange features. For example, I trod over Prickly Pear Cactus in the first ten yards of the unceremoniously named “Orange Trail.” The trail was completely made out of deep sand and supported a variety of wildflowers that I’d never seen before. The plants seemed sturdy and worn and reminded me more of the southwestern U.S. than northern Illinois. The sand also supports a wide variety of bugs. Besides some really pesky gnats and an unfortunate number of seed ticks, we saw some unique beetles, huge centipedes and several lovely types of butterflies. My favorite butterflies of the forest were the bright yellow Tiger Swallowtails and blue and orange Woodland Swallowtails. The abundance of bugs supports a variety of animals that eat bugs — particularly birds and bats. As I was walking away from our campsite early Sunday morning, an electric buzzing sound caught my attention. I thought to myself how strange it was that they’d run electricity clear out in the woods, when I noticed that the sound was coming not from a light pole, but from a dead tree. The dead tree was evidently the home of a whole colony of Myotis lucifugus, or Little Brown Bats. I guess the noise was just the bats getting settled from a night on the wing at the best bug buffet in Illinois. Out on the sandy trail! Hiking and camping at the park is very rustic. The trails are fairly well-marked, but there are not many of the amenities you might expect. The bathrooms are all latrine style and unplumbed, and there are no playgrounds, rental areas or shelter houses. The sand was wet due to storms this weekend, and the temperatures were in the 90s, so the hiking was pretty exhausting. 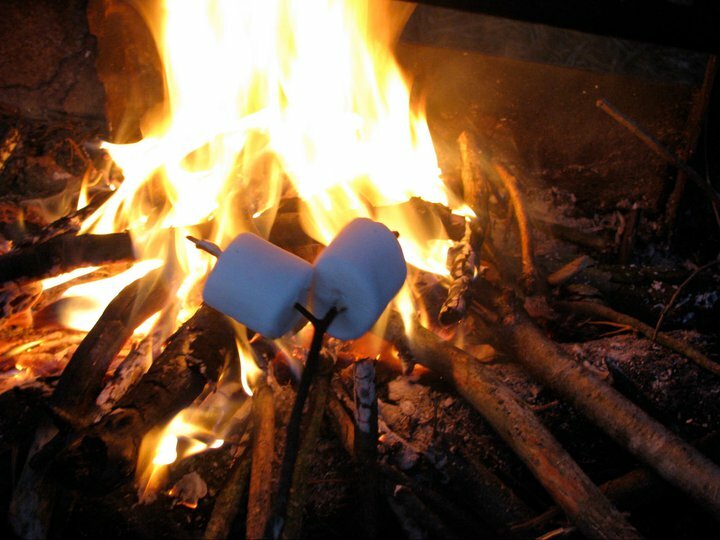 The back country campsites are stationed every few miles on the trails and do include nice fire pits. 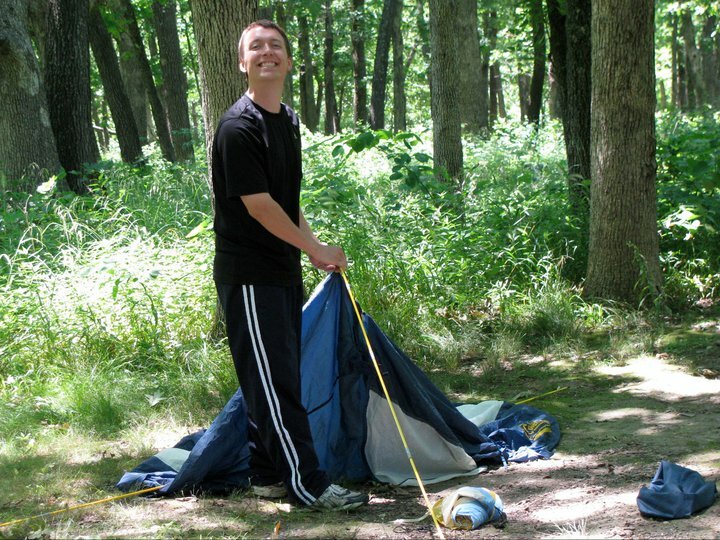 If you’re planning a trip to Sand Ridge State Park, you can reserve campground sites (with or without electricity) or backcountry sites at http://www.reserveamerica.com. The park does have very nice equestrian trails and a hand-trap range that look like fun. Seasonally, hunters find this park to be one of the best destinations in Illinois for deer, pheasant, quail, doves, turkey, and red and gray fox. 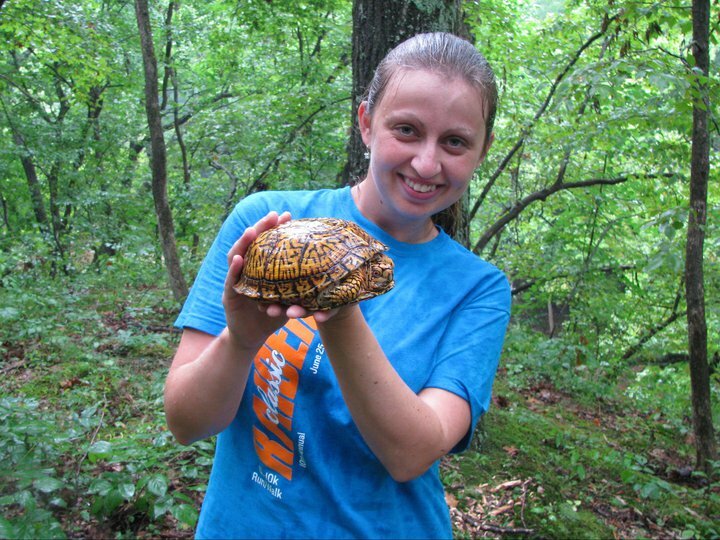 Overall, if you’re looking for a rustic outdoors experience at a very utilitarian park, or if you are interested in seeing a unique ecosystem in our own backyard, Sand Ridge is for you. I’m looking forward to visiting again in the winter and learning what a Sand Prairie looks like in colder months. But for now — does anyone know how I’m going to get all of this sand out of my sleeping bag?